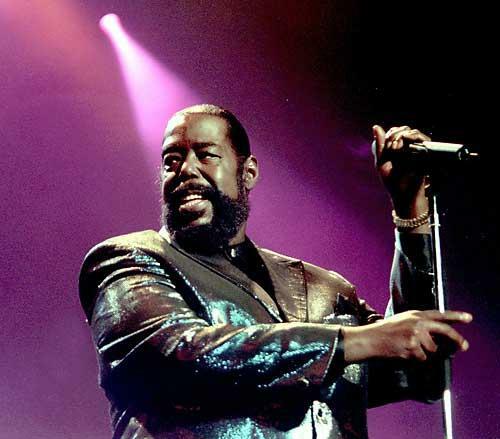 September 12, 1944 Barrence Eugene Carter (Barry White), singer, songwriter and record producer, was born in Galveston, Texas. He began his musical career in the early 1960s in singing groups before going out on his own in the mid-1960s. He got his big break, producing a female group he had discovered called Love Unlimited. Their 1971 release “Girl’s Point of View” sold more than 1 million copies. White’s first album, “I’ve Got So Much to Give”, was released in 1973 and included the single “I’m Gonna Love You Just a Little More Baby”, which rose to number one on the R&B charts. Other hits followed, including “Never, Never Gonna Give You Up”, “You’re The First, the Last, My Everything”, “It’s Ecstasy When You Lay Down Next to Me”, and “Your Sweetness is My Weakness”. 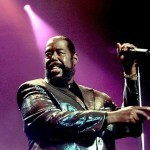 Although White’s success on the charts slowed during the 1980s and early 1990s, he maintained a loyal following. White returned to the charts with the release of “The Icon is Love” (1994) and “Staying Power” (1999), which won Grammy Awards for Best Male R&B Vocal Performance and Best Traditional R&B Vocal Performance. Over his career, White won 5 Grammy Awards and sold more than 100 million records. White died July 4, 2003 and in 2004 he was posthumously inducted into the Dance Music Hall of Fame.